General Chang, Brewmeister Smith, Colonel Tigh, Wonder Woman and more will all appear in the upcoming RPG epic The Elder Scrolls V: Skyrim. Christopher Plummer is one of the finest Shakespearean actors of the modern era and has also notched up a remarkable collection of noteworthy film roles, while Max Von Sydow has put together a very long and distinguished international acting career of his own. Yet to a certain demographic - that'd be us - they will forever be known for two iconic roles: General Chang of Star Trek VI: The Undiscovered Country and Brewmeister Smith, the scheming villain in Strange Brew. It's kind of fitting, then, that they're finally coming together, not in a film but in a videogame. And they're not alone. Also joining the cast will be Joan Allen, a three-time Academy Award nominee who's appeared in the Bourne films, Oliver Stone's Nixon, for which she received a Best Supporting Actress nomination, and numerous other projects ranging from The Notebook to Death Race. Lynda Carter, better known as Wonder Woman, will turn up, as will Michael Hogan of Battlestar Galactica fame. So will Claudia Christian, who you might remember as Commander Susan Ivanova from Babylon 5, and Vladimir Kulich, the imposing dude who played the leader of the Norsemen in The 13th Warrior. Given Bethesda's history, it's not exactly a surprise that Skyrim will boast a star-studded cast, but even so this is a pretty impressive list of names. 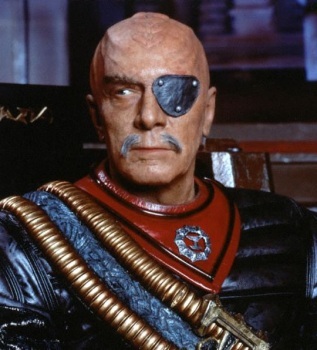 Not that many of them don't already have some experience in the realm of videogames; Plummer reprised his General Chang role for the 2000 release Star Trek: Klingon Academy, while Von Sydow did the same for Vigo the Carpathian in the more recent Ghostbusters game. Michael Hogan appeared in Mass Effect 2 and Fallout: New Vegas, while Carter, with much less fanfare, has actually provided voices for the last two Elder Scrolls games, Oblivion and Morrowind. When you get right down to it, most of these guys have pretty respectable nerd cred. But perhaps even better news for fans of the franchise is that Bethesda has employed more than 70 difference voice actors for Skyrim, a far cry from the three or four guys it used in the last couple of games. Let's hope that translates into some actual vocal variety in the game world. The Elder Scrolls V: Skyrim comes out on November 11 for the PC, PlayStation 3 and Xbox 360.